Our knowledgeable insurance advisors are certified to help you buy health insurance through the online marketplace at no additional cost to you. The Affordable Care Act of 2010 was designed to make health insurance affordable and accessible to all Americans. As of January 1, 2014 all Americans are required to have health coverage. Beginning in 2019 consumers will be able go without coverage and not face a fine. The penalty for going uncovered for 2018 is $695 per adult or 2.5% of household income in excess of tax filing thresholds, whichever is higher. BeThe Marketplace (www.healthcare.gov ) is a website run by the United States Department of Health and Human Services. If you buy insurance through the Marketplace you may be eligible for a tax credit on your premium. It is estimated that 17 million people In the United States (715,000 in Pennsylvania) will be eligible for some subsidy amount which will be based on your Adjusted Gross Income and the number of people living in your household – information that is available on your income tax return. As you view the Marketplace website you will see that there are many options available to you based on where you live and the plans that are offered in that area, your age, and gender and if you smoke. Each insurance company's plans are classified as, Bronze, Silver, Gold, and Platinum. Each level of plan has a different level of premiums, co pays and annual deductibles. The choice can be confusing and the website can be challenging to use. Click here to use our easy Shopping Tool to calculate your eligibility for tax credit or subsidy and to compare plans in your area. Call us today at 800-491-3642 if you have any questions. We are happy to provide you with the tools and information you need to compare plans, benefits, rates and to calculate your subsidy and tax credit. You can't be turned down for "pre-existing conditions" (health problems you had before you applied for coverage). Your coverage can't be stopped if you have many claims or high expenses caused by an accident or major illness. You can only purchase insurance at one time of the year. A high-quality health care plan helps you stay healthy, avoids lost income due to illness, and pays for needed medical care. Today, purchasing a plan is easier than ever when you work with Your Health Insurance Shop to find the right coverage at the right price. Subsidies and Tax Credits - Do you Qualify? To help lower and middle income families and individuals, the government offers Tax Credits and Cost Sharing Reductions. If you qualify, Tax credits are applied lower your monthly premium. Cost Share Reductions also lower the out of pocket costs (like co-payments, deductibles, and co-insurance). You can learn more by watching the video on the Will I qualify for lower out-of-pocket costs page on the Healthcare.gov website. Call us today at 800-491-3642. 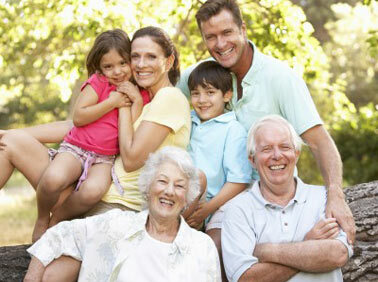 Let us help keep your family's future secure from overwhelming medical bills. Contact us today. My current plan has been eliminated. Can I get a new plan though Your Health Insurance Shop? Yes, we can talk with you to learn your needs and budget, help you select a plan, and sign up through the Healthcare website. You can shop for individual health plans using our shopping tool HERE. You can apply through the market place at this link as well. If you have questions along the way, we are happy to help. Do I have to pay extra if I go through an agency like Your Health Insurance Shop? No. All of our fees are covered by the insurance companies. You'll gain our experience and expertise at no additional cost to you. How do I know if I qualify for subsidies? You can use our shopping tool to estimate the amount of tax credit and subsidy for which you are eligible. For most people, Modified Adjusted Gross Income (MAGI) is the same as your Adjusted Gross Income (AGI). This is an important calculation on your tax returns. AGI is all of your income less several common adjustments. MAGI had a few more possible additions and deductions that must be calculated. For many people AGI is the same as MAGI. Learn how to calculate your Modified Adjusted Gross Income for the Affordable Care Act in a PDF from UC Berkeley Labor Center. See how the Affordable Care Act affects individuals in Pennsylvania.